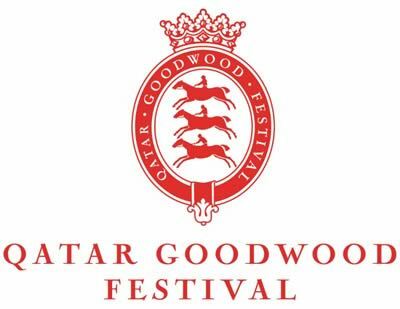 Qatar continues its generous support of the Qatar Goodwood Festival in 2016, with prize money for the week totalling £4.9 million. Thirteen Group races take place over the five days, including the Group One Qatar Sussex Stakes (Wednesday, July 27) and Group One Qatar Nassau Stakes (Saturday, July 30). Both are QIPCO British Champions Series races. Thursday, July 28 is Ladies' Day and for the sixth year Goodwood will host its Magnolia Cup charity race for high-profile lady riders and silk designers. Minding had to be shaken up to deny Queen's Trust and win her fourth Group One of the year in the Qatar Nassau Stakes. Dancing Star, the 9/2 favourite, won the Qatar Stewards' Cup for trainer Andrew Balding and owner Jeff Smith. Bawtry trainer David Griffiths wins the Group 2 Qatar King George Stakes at Glorious Goodwood with Take Cover. Franklin D landed one of the gambles of the season so far when taking the Betfred Mile. Big Orange's bright yellow silks emerged from the gloom to win the Qatar Goodwood Cup for the second year running. Pocket rocket Mehmas delivered another big race for connections when taking the Qatar Richmond Stakes under Frankie Dettori. 11/8 favourite The Gurkha edged out Galileo Gold to win the Group One Qatar Sussex Stakes on Wednesday. Ulysses bounced back from a flop in the Epsom Derby to win the Beringice Gordon Stakes. Mark Johnston saddled a 1-2 in the Victoria Racing Club Molecomb Stakes as Yalta led home The Last Lion. 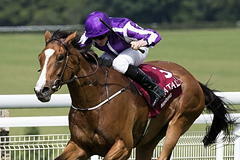 Aidan O'Brien's War Decree put in an authoritative display in the Qatar Vintage Stakes under Ryan Moore. James McDonald delivered Dutch Connection with a well-timed challenge to claim top honours in the Qatar Lennox Stakes. Ryan Moore was crowned Racing UK Qatar Goodwood Festival Top Jockey for the third time with eight victories at the West Sussex course over the five days. Only Richard Hughes has won more races in modern times at the Festival - nine in 2010 - and Moore signed off with a double courtesy of Minding and Lockheed on Saturday, following his treble on Friday. Moore, who won the title previously in 2009 and 2007, receives a lifetime subscription to Racing UK (Sky 432/Virgin 536 and 411/Freeview 231), a £1,000 donation to the charity of his choice, and a deluxe Goodwood hamper. The jockey split his charity donation between Great Ormond Street Hospital and Daily Mirror correspondent David Yates's bike ride around Yorkshire, which was in aid of the Injured Jockey's Fund's Jack Berry House. The late Sir Gordon Richards holds the record as the most successful rider at Glorious Goodwood, with 10 wins in both 1947 and 1949. He also had nine successes in 1946, a figure matched by Lester Piggott in 1974 and Hughes more recently. Trainer Mark Johnston, based in Yorkshire, gained his fourth winner of the 2016 Qatar Goodwood Festival in the sixth race today when Hawatif took the seven-furlong Qatar Handicap. He finished the Festival with the same number of winners Aidan O'Brien and Sir Michael Stoute, but had more seconds and thirds, six and four. He thus gained his 10th leading trainer award at the Qatar Goodwood Festival, with his other titles having come in 2014, 2012, 2009, 2006, 2005, 2003, 2002, 2000 and 1998.